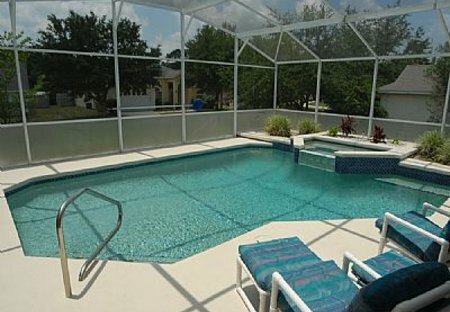 Rent villas in Westridge, Florida with private pools. Book affordable holiday rentals that are near a golf course. Comfortable 3 bed/2 bath villa in prestigious Westridge development in Orlando. Fantastic location only 15 mins from Disney. South facing private pool. Beautiful, 4 bedroom 2 bathroom luxury villa, with private, oversize south facing pool. Free WIFI and FREE Long distance calls to UK. Close all attractions and local golf courses. Stunning four bedroom pool villa on an exclusive gated community 15 minutes from Disney. Fully renovated in 2015 bright and modern. Private pool with benefit of lots communal facilities. Gorgeous 4 Bed villa within a gated community. Our 4 bedroom, 3 bathroom villa with South and West facing pool is situated in the community of Westridge near the Orlando area. We are just 15 minutes drive from Disney. Backing onto a lake and preserve , watch sunsets from the deck, see herons come down to fish, peek at our local gators or just enjoy the peace and quiet of these beautiful surroundings.